Unicorn Tails are pretty little skeinettes of Tosh Merino Light. 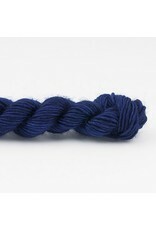 Perfect for that little stripe of colour in your shawl or hat, granny squares, and colourwork. Available in Madelinetosh's top selling colours. Knitting gauge: 26 - 30 sts = 4 in. or 10 cm.